The Scoutreach Leadership Development Center is located on South Zarzamora Street in San Antonio. The building is a new facility developed by the Boy Scouts of America Alamo Area Council and consists of about 4400 s.f. including adminstrative offices, scout store, activity rooms and additional support space. The site is approximately 1 acre with 28 parking spaces and is located on the south side of San Antonio. This building will give the Scouts a facility and a presence in an area of town that has been historically underserved by the Boy Scouts. It will provide meeting and training facilities for staff to work with volunteers and parents and will also provide after school programs and other activites for the Scouts. The site has enough land that a future sports field is planed for the facility which will accomodate football, soccer and possibly baseball and basketball. The building interior consists of an administrative wing with offices, work room and conference area, a waiting and reception area, scout store and a large meeting space that can be sub-divided into 3 smaller spaces. In addition there is a break area, restooms and storage space. Interior finishes include stained concrete flooring with a mosaic of the boy scout logo, laminate cabinetry, and painted walls and ceilings. The entry has a large vaulted ceiling area that gives it an open, lofty feel as you enter the facility. The exterior of the building has a stucco finish with brick wainscot and columns. The roofing is a dark green standing seam metal and there is a covered porch with a large wood truss at the gabled entry to the facility. 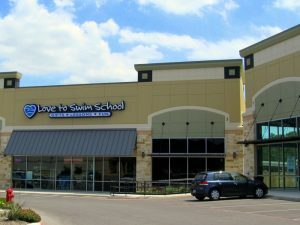 The new Love to Swim School location is approximately 8000 square feet of interior finish out in an existing concrete tilt wall panel building. 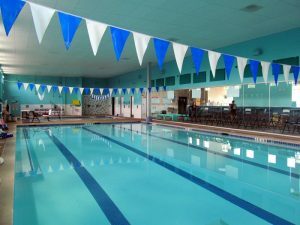 It features two in-ground warm water pools, a larger pool and smaller pool both enclosed in glass for viewing, on deck showers and bathrooms, a large reception area with a retail area, administrative offices, as well as family friendly bathrooms and changing area. Love to Swim School’s mission is to develop students of all ages into happy, confident, masterful, lifelong swimmers. “We give people the mind set and skills to live in and love the water,” said Reilly-Magee. 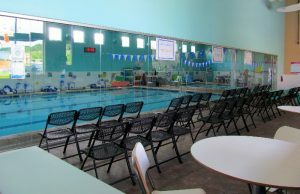 At Love to Swim School, swimmers have fun, parents see results, and coaches get to do what they love. The Rolling Oaks Golf Center is a project of approximately 4000 s.f. on Loop 1604 between O’Connor Road and Judson Road in San Antonio, Texas. The site consist of approximately 17 acres of land used for a Golf driving range and training center. The building houses a restaurant, bar, pro shop, and teaching facility. The building has a wood siding exterior, standing seam metal roof, and an extensive porch that raps around two of its sides. One side of this porch is a covered patio area that adjoins the restaurant and bar area and provides outdoor facilities for customers to eat, drink, and watch the other clients practice at the driving range. The convenient location as well as the casual atmosphere of this facility make it a favorite evening and weekend recreational spot for local north side San Antonio golfers. The T Slash Bar Guest House is located on the southwest side of San Antonio off of highway 90 west on an old ranch property. The facility has a roping arena, horse boarding facility, picnic and party area, as well the two bedroom guest house designed by Stephen J. Kramer Architecture + Design in the hay loft of the property’s barn. When approaching the ranch from San Antonio a visitor will turn off the highway onto a long pecan tree lined drive leading up to the main building of the ranch. After passing the arena one would arrive at the barn and stables. To get to the guest house you must climb the stairs up above the barn where you would enter a large party room. On the far end of the party room is the enter to the guest house. You walk through the door into a common living area at the back of which is the kitchen and dining room. On either side of the living room are private bedroom suites with private baths and closets. The rustic decor has a southwest flare that gives the guests a feeling of casual comfort when staying at this unique property. This project is a 3091s.f. building completed by Stephen J. Kramer Architecture + Design for the City of Kirby, Texas. It is one of the few municipal projects completed by our firm. The building itself is a brick structure with a composition shingle roof designed as a community center for the senior citizens in the City of Kirby. It is designed for a site next to a city park so that the elderly users of the center would be close to the young children and parents in the area and not isolated. The building houses administrative offices, a library, a large activity room, kitchen area, and smaller classrooms and support spaces. It is design to accommodate up to 100 people at a time in an auditorium type setting and approximately 30 to 40 people on a normal day of activity. Because of budget restrictions the project had to be extremely cost effective a large clerestory sky light was deleted from the project. Materials used on the interior of the building were very simple such as vinyl composition tile, vinyl base, painted walls, and suspended acoustical ceilings. The project was completed in the 1991 for approximately $225,000. Design by MMG Webdesign | Copyright © Commercial Architect San Antonio. All Rights Reserved.